TWO STREET CURLING RINKS TO CHOOSE FROM! 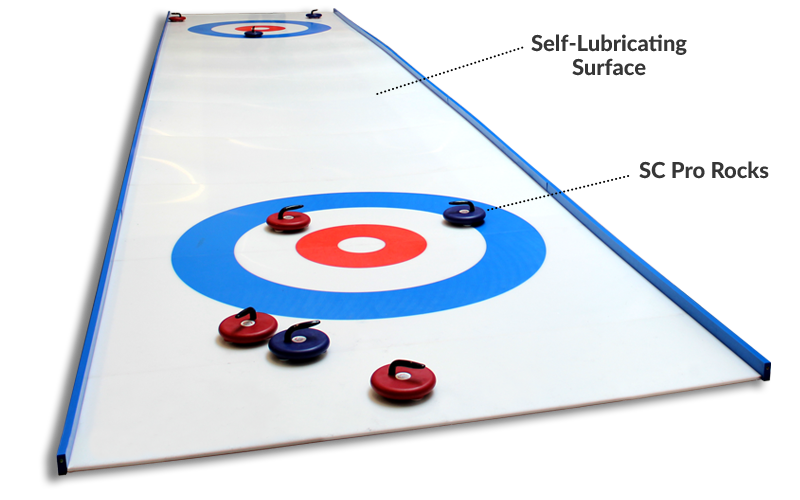 Our Pro Rink is the newest and most realistic synthetic iceless curling surface yet! 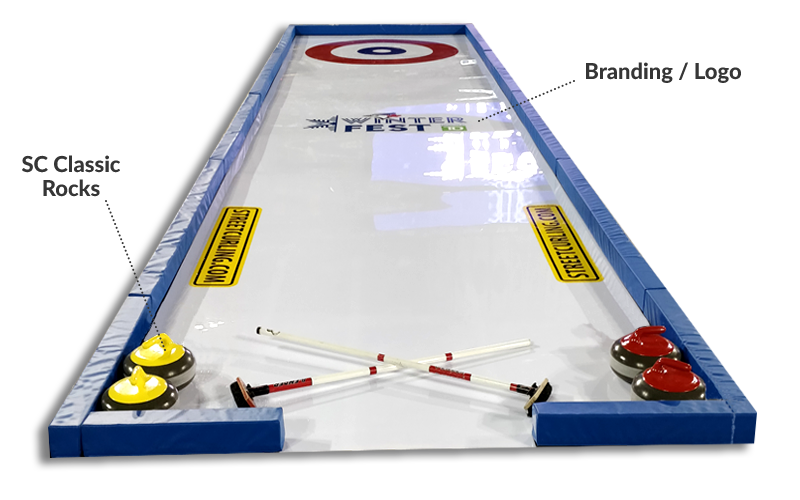 The Pro Rink surface is self-lubricating and our Pro stones glide effortlessly on it. They even curl, making gameplay more strategic and exciting! Standard size for a full rink is 10m (33') long x 2.m (6' 7") wide. 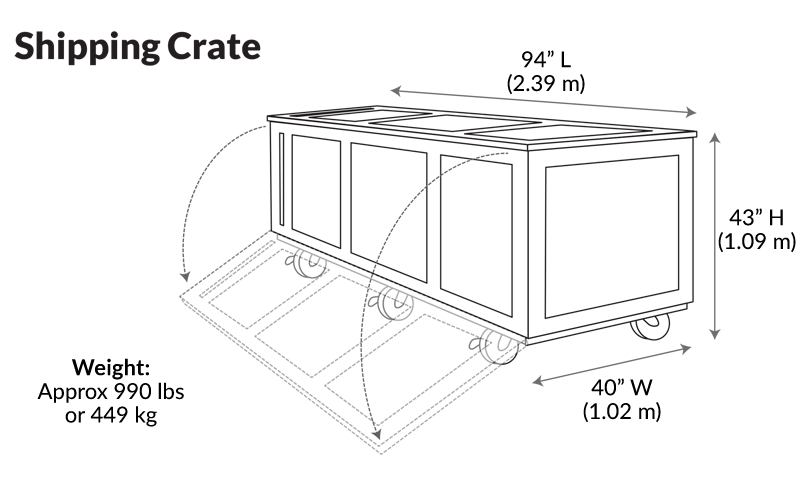 If space is tight, we can also provide shorter lengths with rings at just one end. Pro Rinks are UV resistant meaning there's no problem using them outdoors. They are safe in sun, rain or even snow! Standard Classic rink dimensions are 8.53m (28') x 2.13m (7') and have rings at one end. They can be customized and made shorter in length if space is limited, or even made longer if one desires rings at both ends of the rink. 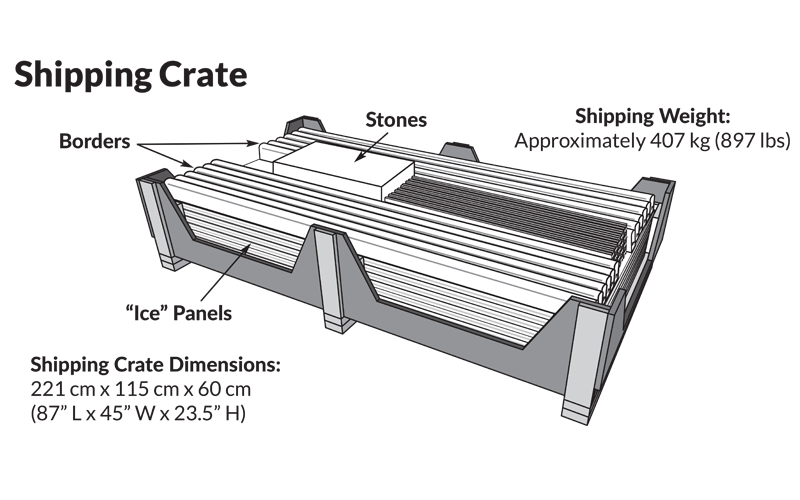 With its custom-designed crate, the Classic rink can be setup and turning heads in minutes! Classic rinks are completely brandable. Put your company or organization logo on the ice, customize the color of the rings, change the stone handle colors - these rinks are completely customizable! Classic rinks come with 4 stones (2 of each color) but more can be added if desired. Slides - like a real curling stone!